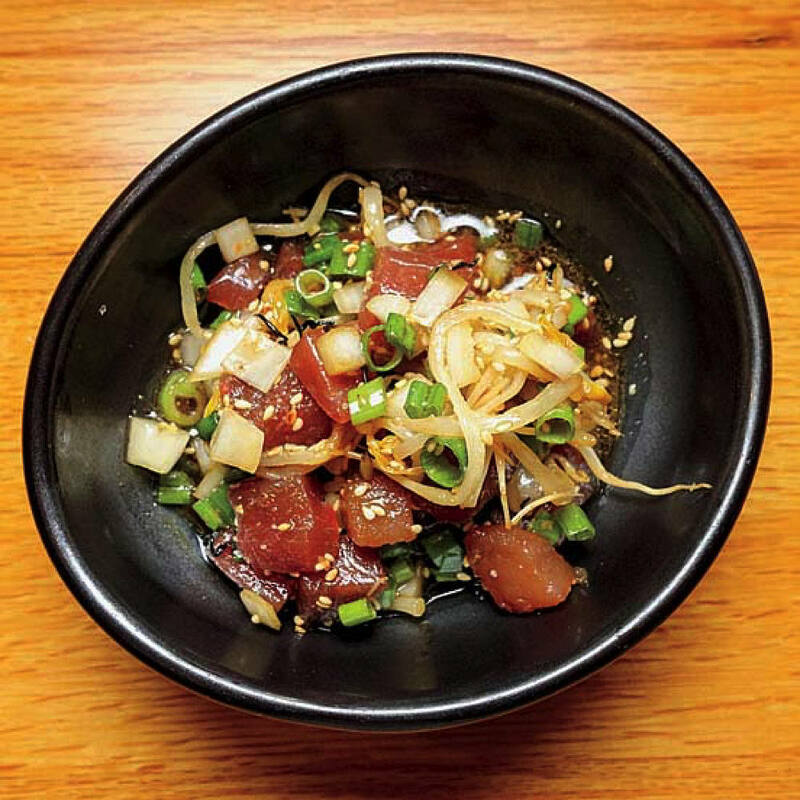 Open from brunch until late at night, the small Momi Nonmi offers izakaya and contemporary Hawaiian specialties. 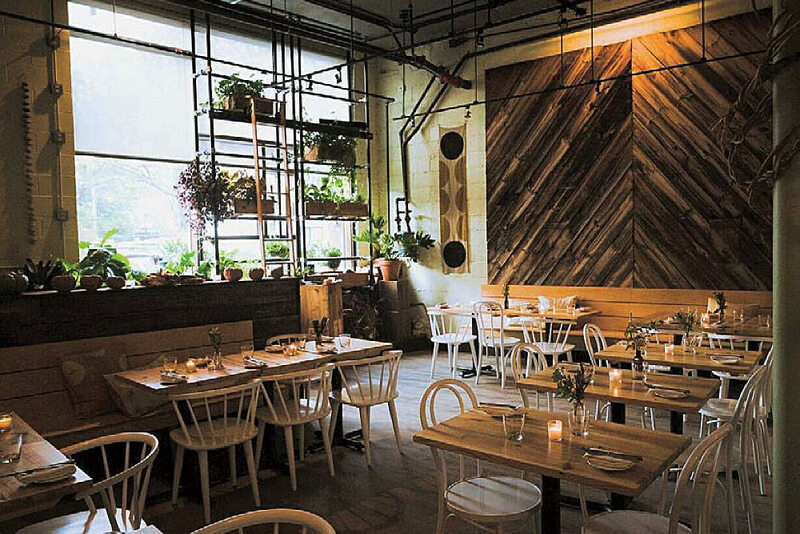 The Mediterranean-inspired spreads at Field and Vine, a home-grown space with plenty of plants and raw wood, are easy to love. Sailing into Commencement Week and longer days to follow likely means more gatherings with friends and evenings out on the town. 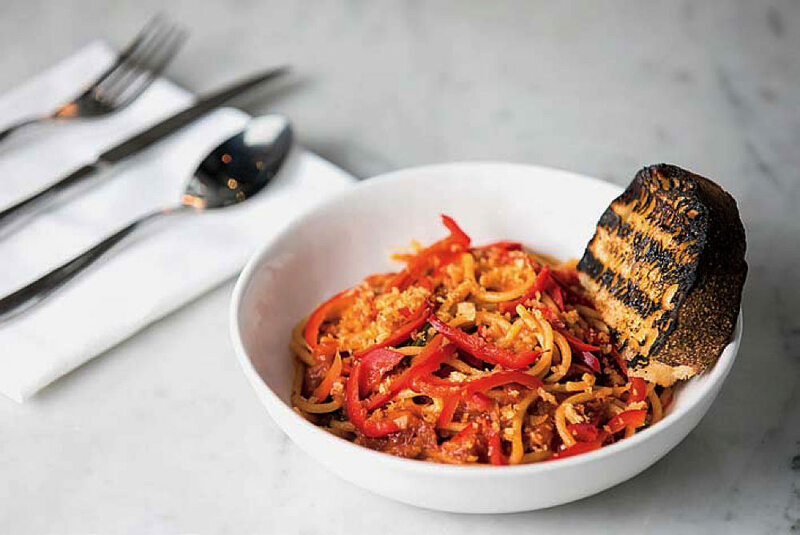 If the usual bistros and bars don’t beckon, look to some of the newer restaurants around. 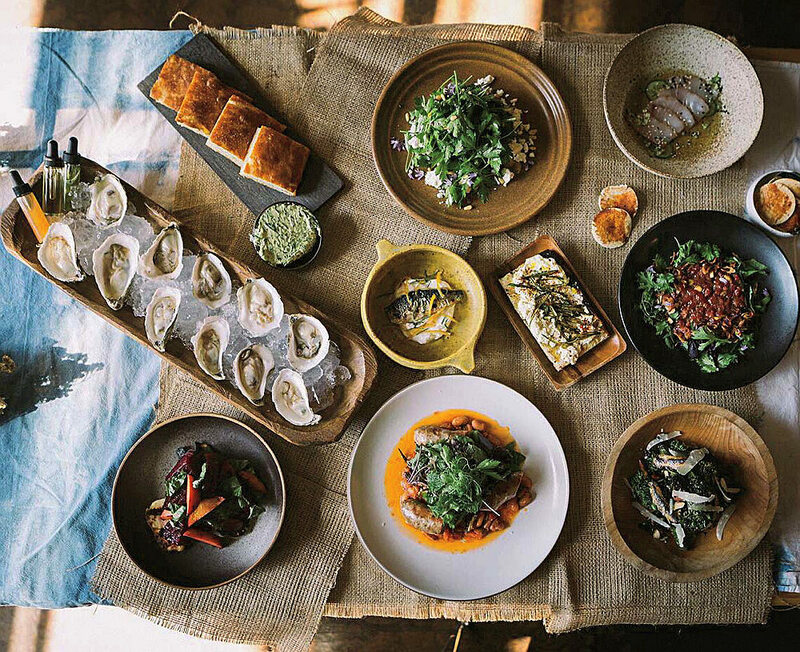 From plush, fancy spots to casual stop-ins, these restaurants are eager to feed a range of local appetites. That’s Pammy’s. The husband-and-wife team, Chris and Pam Willis, hail from restaurants and restaurateur stock, respectively. He cooks, she hosts. They live down the street from their creative venture, and like to say that the place is an extension of their home. Patrons have responded, quickly making Pammy’s a favorite haunt for anyone seeking a warm welcome and inventive New American cuisine. Chris Willis likes to mix it up on the menu. A salad of crisp, salty fingerling potatoes, chicory, and red ruby grapefruit, laced with garlic-chili pesto ($13), cleansed the palate, and left us craving it as a daily diet. The mushroom bruschetta is also atypical: ($14): chewy toast topped with fresh ricotta, sautéed fungi, and slices of jalapeño. The peppers don’t rock the mouth—they contextualize the soft rich cheese and meaty mushrooms. Just as playful was the branzino entrée ($26). Braised sunchokes, that versatile, nutty vegetable, and honeycrisp apples were paired with the slightly salty fish, and the whole dish came together in whiffs and tastes of honey, ginger, and fine mustard. More bitter, thanks to strings of broccoli rabe, was the “Nodi Marini”—so-named for noodles resembling nautical knots ($22). The pasta was tossed with rabe and bits of guanciale (cured pork)capped with a poached egg and a sprinkling of bottarga (salted cured fish roe). For dessert, we shared a buttery apple crostada, with crème fraîche ice cream. Too much of a good thing? It wasn’t—just like everything else at Pammy’s. 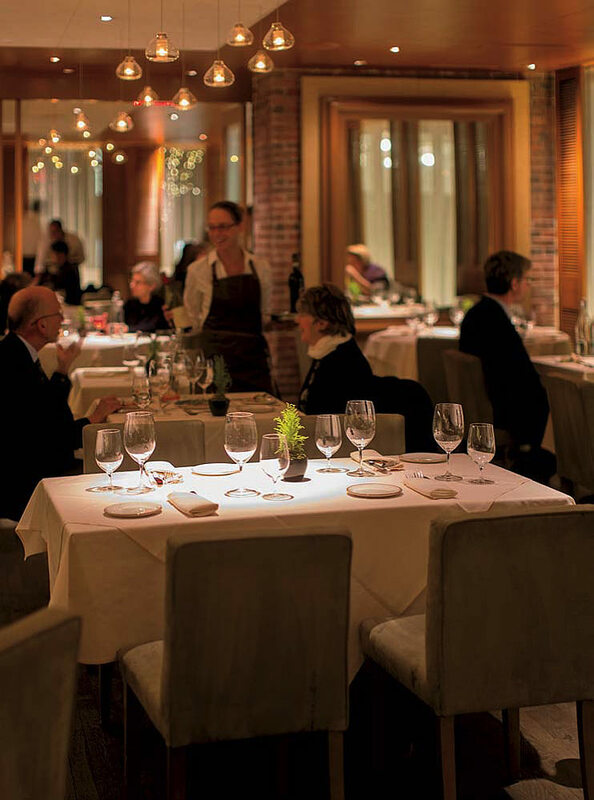 Diners have also been flocking to Giulia, outside of Harvard Square, but for perfect Italian food. 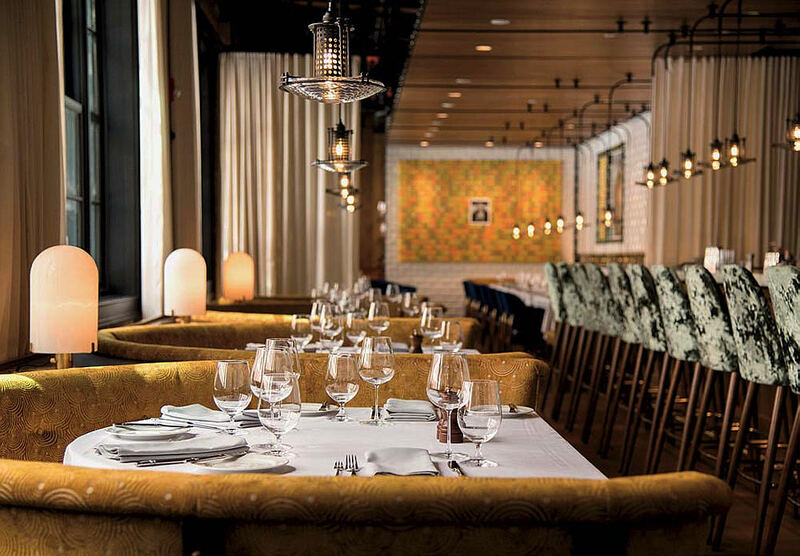 That restaurant’s team has now opened Benedetto in the space that formerly housed Rialto at the Charles Hotel. The simple, crisp geometry and muted tones of Benedetto’s interior veil the painstaking preparation required for its range of traditional regional Italian dishes. Don’t resist the “house-pulled stracciatella” with white Cilento figs, prosciutto di Parma, and hazelnuts ($19) or the roasted halibut replete with muscat grapes, capers, rhubarb, and tangy Swiss chard ($32). 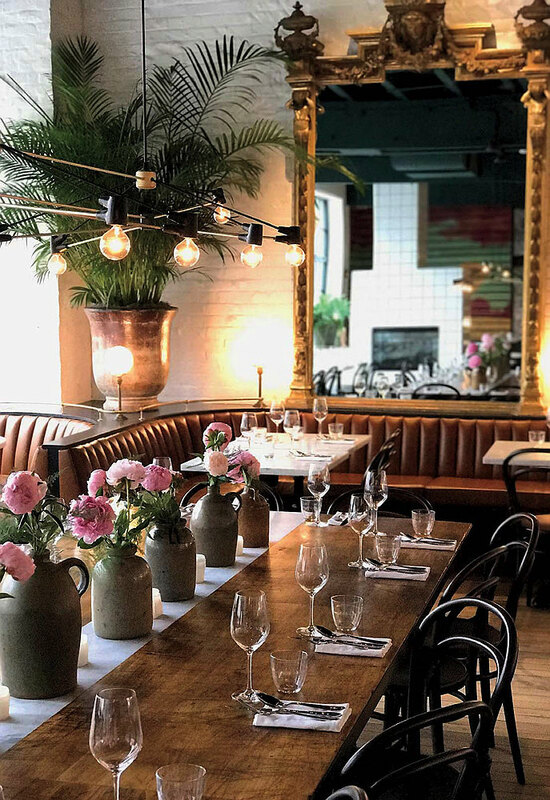 Or visit the nearby Les Sablons—although upon entering this French-inspired restaurant, it’s difficult to know exactly what to expect: white tablecloths and velvet stools are lined up by the bar, but there’s also exposed brick and an installation of more than a hundred yellow tubs of Play-Doh framing a photograph of David Bowie. It is, in fact, a high-end spot. Most entrées cost around $40, but at least there’s no need to worry about sharing: Les Sablons bets against the small-plates trend. The brown-butter parsnips are the star of the scallop dish ($42), and the duck with steamed bok choy is served with a crispy scallion pancake ($39). Dessert is the underrated highlight here, though: Meyer lemon posset ($10) is refreshing, and the grapefruit tart with rosé sorbet ($10) is an unexpected way to enjoy that ideal summer wine. 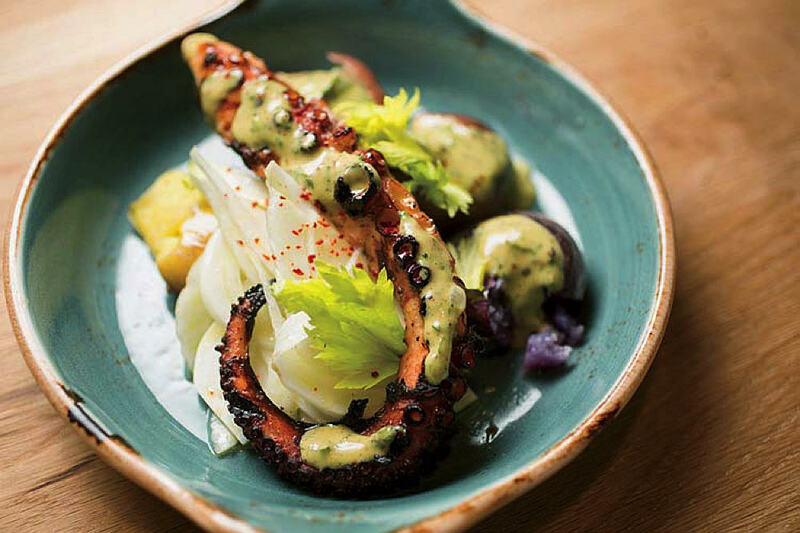 For more explicitly French and French-Canadian cuisine, go to Café du Pays in Kendall Square. It’s around the corner from the cinema (and typically offers discounted movie-ticket vouchers with dinner), but is well worth stopping by at any time for drinks at its intimate, kindly lit bar. Staple dinner dishes include pork and venison pie, tourtiére ($12), hearty pea soup ($6), smoked chicken or duck ($26), and poutine—fries topped with cheese curds and gravy ($10). Closer to Inman Square, Momi Nonmi is tucked away on a busy Cambridge Street. 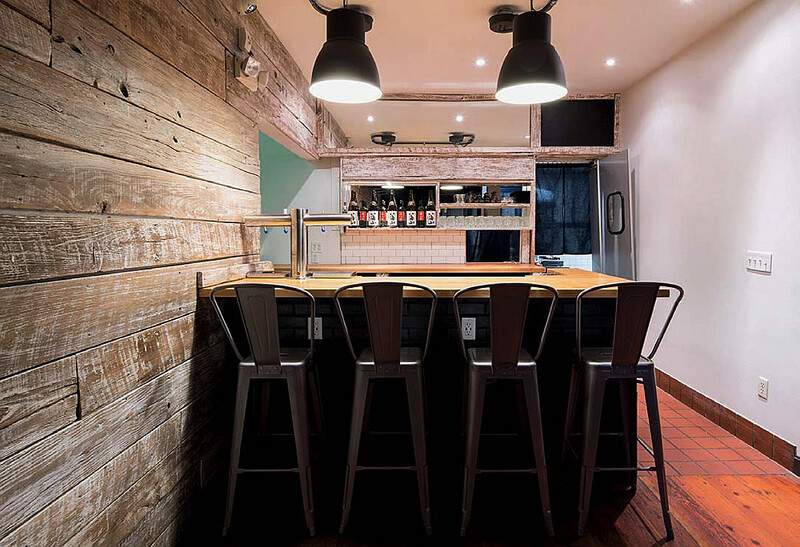 It offers takes on both izakaya (casual Japanese) and modern Hawaiian cuisine. For seafood-lovers, the salmon sashimi with kiwi and avocado ($12) and tuna poke with sweet onion and mung bean ($16) are stellar alternatives to traditional New England recipes. And the tiny kitchen stays open late, when it turns out hot dumplings with indulgent heaps of wagyu beef ($18). Another newer Asian-food entrant, Wafu-Ya Japanese Kitchen, is part of “Little Japan” inside the Porter Exchange Building. There’s sushi and sashimi, but the cooks aren’t afraid to experiment. One night, bacon figured heavily among the specials: bacon okura, bacon enoki, shimeji bacon. But so did quail eggs and ginkgo nuts (with or without sausage). There are all manner of skewered edibles and noodle soups, along with tatsuta-age (a.k.a., chicken nuggets). Regarding the flickering TVs, more than none are too many, but at least the sound was off. And the place was alive on a Friday with date-nighters, families, and students happily slurping broth and munching raw fish—and bacon. 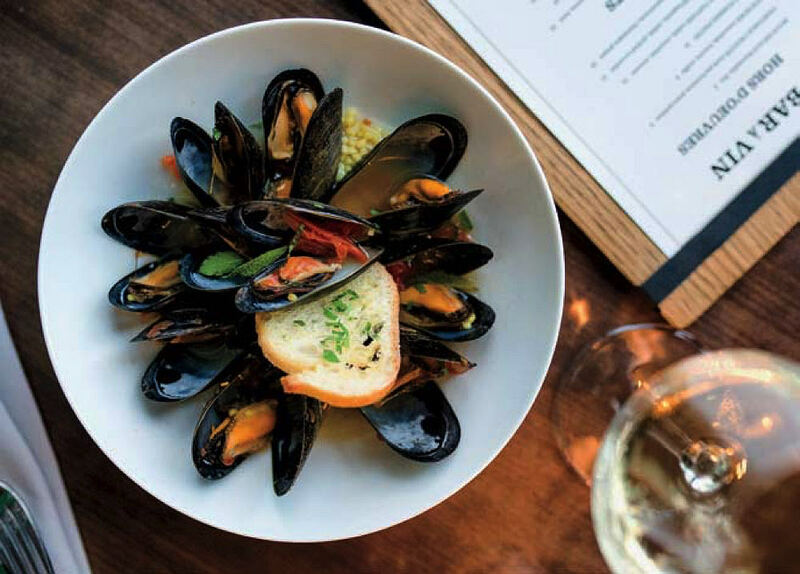 Stepping outside of Cambridge, notable newer restaurants include Field and Vine, in Somerville’s Union Square. The owners used to produce pop-up meals, but have settled down to offer innovative, seasonal fare, such as focaccia with tahini spread and cranberry chutney ($5) and smoked sausage with beans and charred cabbage ($18). Our Fathers, right across the river in Allston, serves what it terms “modern Jewish cooking”—Middle-Eastern and Mediterranean deli-style and hot food. Think: falafel, lamb kibbe, pastrami, matzo-ball soup, and za’atar-encrusted salmon ($9-$28). New is not always better, but, sometimes, maybe it is.